The EU’s Fundamental Rights Agency recently cited the Ombudswoman, in an interview published in its report from July 2018, who criticized the open centers for asylum seekers for their lack of interpreters, qualified psychological care (especially for victims of torture and traumatized people) and adequate infrastructure for disabled people. The deficit of facilities for unaccompanied minors was also criticized by the Ombudswoman. Until today, there is not even a separated area existing for them in Bulgaria’s refugee centers. The hygienic conditions in some buildings are also questionable. Furthermore, the Bulgarian Helsinki Committee (BHC) called 2017 another “zero integration“ year for refugees living in Bulgaria. As there are decreasing numbers of refugees living in the open centers , the Municipal Councilor of the VRMO, Carlos Contrera, recently suggested in Nova Television to close the open centers and called them ’strategical mistakes‘. 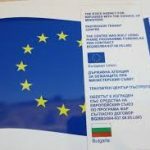 Radostina Pavlova from the organization Center for Legal Aid – Voice in Bulgaria (CLA) argued, however, that as long as Bulgaria has a duty to provide asylum, there has to be some basis for asylum seekers to live somewhere in the country. 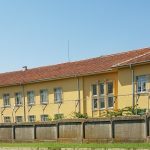 Last month, Prime Minister Boyko Borissov stated that Bulgaria is the only country in the EU, where there is almost “zero pressure“ at the border, highlighting the role model function of Bulgaria. Furthermore, Bulgaria’s parliament recently voted against signing bilateral readmission agreements with other European Union countries for taking back migrants. 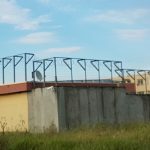 In May 2018, the refugee center in Pastrogor was empty, although the fence of the facility was recently extended. The building, set up with EU-money, will most probably turn into a closed camp soon. Also in Harmanli, a new closed area was created. The Bulgarian government agreed already on the 31st of August 2016 to allow the State Agency for the Refugees (SAR) to set up closed camps or transform already existing open camps into closed facilities. 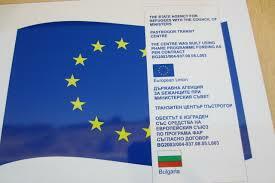 Right after Bulgaria’s EU-Presidency ended in July 2018, Bordermonitoring.eu visited Bulgaria again, but was unfortunately denied access to the open and closed camps by the SAR and the Ministry of Interior (MoI). Dieser Beitrag wurde unter Allgemein abgelegt und mit Bordermonitoring.eu, Center for Legal Aid - Voice in Bulgaria, Harmanli, Ministry of Interior, Ombudsman, Pastrogor, State agency for refugees, VRMO verschlagwortet. Setze ein Lesezeichen auf den Permalink.